Ireland is of course famed for producing Irish Whiskey - but over the past couple of years, we’ve witnessed a bounty of fantastic gins making their way out of the Emerald Isle, from small-batch distillers to industry veterans. Many started as a bit of a hobby whilst their whiskey matured - however, these gins are way more than a side biz, gin is now the fastest-growing spirit category in Ireland and in 2016, global exports had tripled in volume and growing further year on year since. And what’s behind this exciting gin boom? 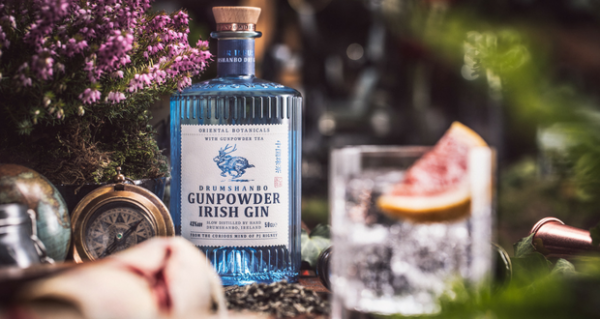 Like every up-and-coming gin producing region, it’s the interesting and distinctive flora and fauna that Ireland has to offer and the overall character is hard to pin down. As most of the grain grown in Ireland is used in Whiskey production, the rapid growth has left local reserves exhausted - so Irish gin producers have had to look elsewhere - many getting their base alcohol sourced from France. Now gin in Ireland is by no means a new thing, it's been making the stuff since the 18th century - a knock on effect from the gin craze in London. But the rise today can be attributed to several factors - the alcohol beverage federation of Ireland reports that in 2014, Ireland had just four distilleries - it now has a total of 18 with a further 16 planned. And The Alcohol Beverage Federation of Ireland (ABFI) reports a similar story in Ireland which had just four distilleries in 2014, but now has a total of 18, with a further 16 planned - and these new distilleries are turning to gin whilst their whiskey matures and since people’s tastes and palates have evolved and appreciation for craft spirits and innovation is showing no signs of stopping - it seems the sky is the limit for Ireland’s gin category. Here are some of our favourite Irish gins - and for the non-whiskey drinkers, this is definitely what we’ll be enjoying come St Patrick’s Day. Bertha's Revenge is small batch Irish Milk Gin made by Ballyvolane House in Cork - it’s named after the oldest cow in the world - Big Bertha, a Droimeann cow from Kerry - she lived for 48 years and birthed 39 calves (she could probably have done with a large gin! ), and the concept came about because Ballyvolane is Gaelic for “the place of the springing heifers”. The gin itself is a good mix of spice and fruity vibrance. Fittingly made from whey, not grain, the unique mix of botanicals includes grapefruit, cinnamon, cloves, cumin, elderflower, Alexanders and sweet woodruff. Exceptionally smooth and warming, with a creamy mouthfeel (you don’t say) - the flavours are more citrus dominated than the nose suggests with a sweet acidity from the whey and the spice elements coming through strongly on the finish. Boatyard Distillery was set up by Joe McGirr, a veteran in the spirits business, having worked previously for Glenmorangie & Moët Hennessey. In 2016, he launched Boatyard Double Gin - which is created using a special double contact method of method of production, the distillate runs through a juniper filtration system, giving the gin a more pronounced juniper flavour. Placing provenance, ethos and taste at the heart of its products, post-distillation, the spirit is infused with grains of paradise, angelica, lemon, orris, liquorice root, coriander and native, farm-foraged sweet gale - creating a beautiful harmony of flavours with a floral sweetness & hit of piney juniper. 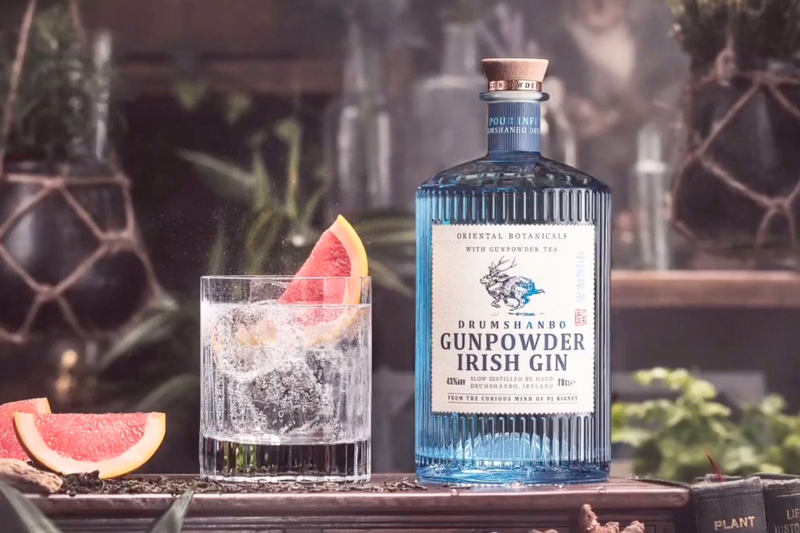 Drumshanbo Gunpowder Gin is made using ingredients from an old spice route at the Drumshanbo Distillery in County Leitrim. It takes its name from one of the lead botanicals, Gunpowder tea, slow-dried and rolled into small shiny pellets - resulting in a bright, fresh and slightly spicy flavour. The gin also features traditional botanicals from all over the globe and locally sourced Meadowsweet - which are left to steep in a beautiful steam fired copper pot before being combined with vapour-infused oriental lemon and lime, fresh grapefruit and the all-important, gunpowder tea. This two-step method creates complex spicy flavours and aromas that marry the delicate freshness of the citrus and gunpowder tea notes.